Touristy pictures to be expected! 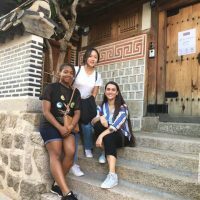 Left to right, me, our buddy Gayoun, and Rebecca outside a traditional style house in Bukchon Hanok Village. Whenever I find myself moving on to a new place or seemingly starting a new chapter in my life, I always anticipate difficulty in adjusting to the transition. Moving to Seoul was no exception, in fact, I expected this to easily be the toughest thing I’ve ever done. With two continents, 5,500 miles, 9 hours of time zone difference and an 11-hour flight between where I am now to the life I left behind, I anticipated this to be the struggle of a lifetime. Imagine my shock when I found myself fitting in, and rather quickly might I add, to The New Normal. So much for first impressions. I expected a culture shock but that’s not quite what I got. In many ways, Seoul is just like London. A city is a city and a school is a school, so I guess I was more prepared in ways I didn’t even think to be prepared. I just have to learn to find my way around. It was, and is, all too easy to get into a routine of going to university, going out for dinner, and balancing life with extracurriculars. For sure, there are lots of things I can point to at any given moment and say “that’s not how it is back in London”, but really, what would be the point? I didn’t come here to make comparisons, I came here to experience Seoul and learn more about myself. 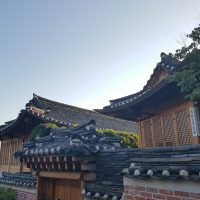 Architecture from a recent trip to Bukchon Hanok Village. However, I find myself settling into complacency, the exact opposite of what I had hoped would happen. Yes, it is a wonderful thing to have friends from Southampton here in Seoul with me, but my “safety net” has become my comfort zone, and I begin to wonder how to push out of these limits and expand my social circle. I’ll be the first to admit I have problems in doing just that. In any case, our modules at Dongguk are engaging and interesting, and I am delighted to expand upon my skills that I scarcely had opportunity or the access to improve before. As I’m sure I’ve told almost everybody already, the films my group has been collaborating on for one of our modules the past few weeks have been very successful, so much so that we’ve won an award for each of them every week. I’ll add links to them at the bottom for everyone who hasn’t seen them. In another module, Aesthetics of Film (a lot less about aesthetics than you would think) I’ve been taught numerous ways to look at films in terms of understanding the physical crafting of film and how it supports (or in some cases juxtaposes) the narrative and semiotics of that film. As for learning Korean… well let’s say I’m not talented with it. Although I’m getting better and I intend to start working harder on it, as for now, a lot of basic vocabulary still eludes me. As for the cuisine, it’s indescribable. 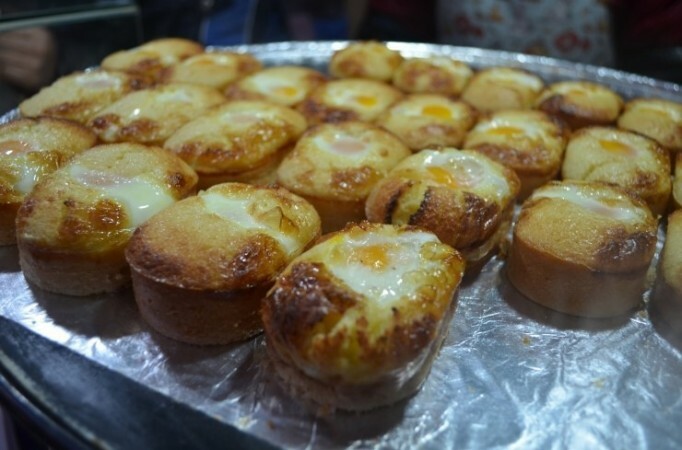 I wish you could all taste some of the dishes I’ve sampled, from jjimdak to bulgogi, to street foods like Korean egg bread (that I honestly need to learn how to make). I scarcely think there’s a meal I’ve eaten and not enjoyed. 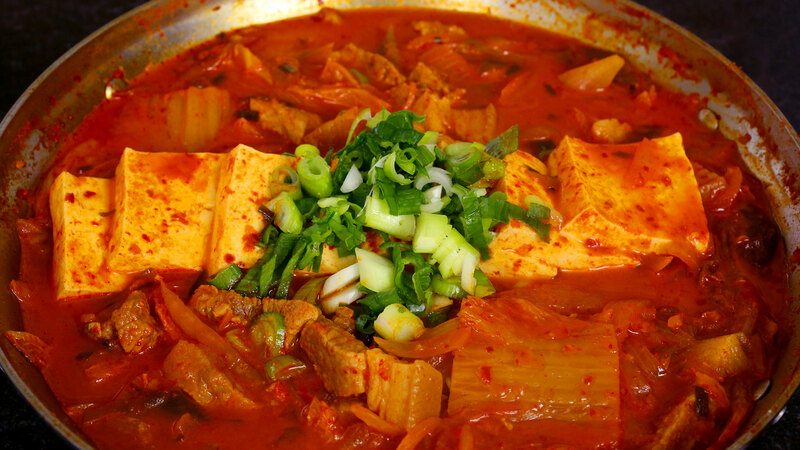 Some meals of course dwell on the spicy side, such as kimchi chigae and Ddeok-bokki, but they’re so flavoursome that it’s worth the effort to just power through. And of course, Korean barbecue which I’ve probably enthused about to most of you already. 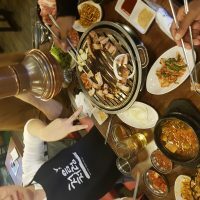 There are places in London that to K-BBQ, but I’ve heard it’s just not the same. Another key element of Korean gastronomy is the love of seafood here. It’s alright for some, but as someone who can’t stomach the idea of shellfish, squid or octopus, it’s not for me. Honestly, seafood is everywhere. Korean Barbecue, they’re everywhere, they’re cheap, they’re delicious! That stays mostly true to the snack foods I’ve tried here, a personal favourite being garlic butter pretzels that are absolutely amazing. However, and this is an array of unusual snacks that surprised me. 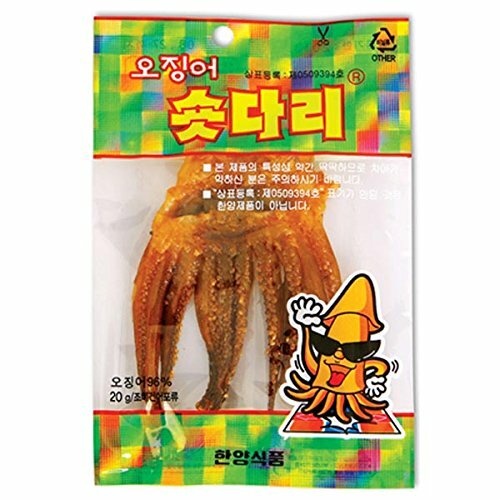 For example, a popular snack are packets of dried squid or seaweed. They’re more traditional, but a lot of people still eat them. The snack aisles at the local Lotte mart are numerous, but another unusual trait of snacks over here are that almost e v e r y t h i n g is sweet. Seriously. That includes flavours of Pringles like butter caramel, or honey apple. And coming in second to sweet flavours is seafood (namely shrimp/prawn). That, for one thing, might take some getting used to. That’s all for this blog post, I hope I haven’t rattled on for too long!